Donate to the La Mesa Historical Society to help support the preservation of our local history. Your donations directly contribute to the funding of events and programs offered to our community and our members. Already a member and want to contribute more? Not ready to be a member, but would like to make a contribution to help support our historic events such as the Annual Home Tour, History Roundtables, and more? 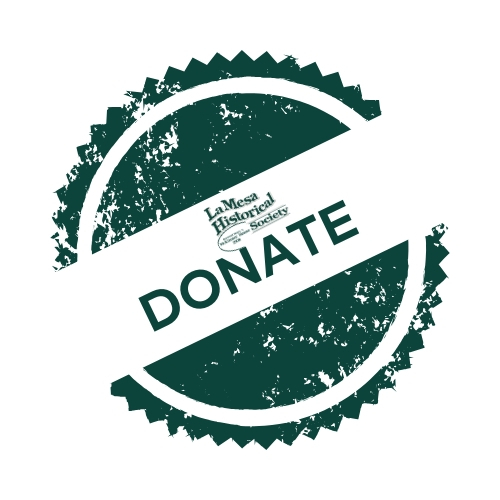 Donate to the La Mesa Historical Society to help support the preservation of our local history. Your donations directly contribute to the funding of events and programs offered to our community and our members.